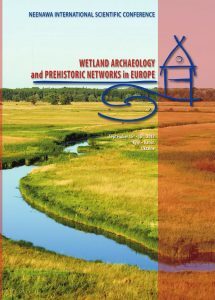 is the final event of the Institutional ...continue reading "Wetland Archaeology and Prehistoric Networks in Europe / NEENAWA International Scientific Conference, September 15th-18th, 2017"
This volume presents the abstracts prepared for the international conference "Human and landscape", dedicated to contemporary researches of environment - prehistoric societies interaction in Europe. The publication includes materials that demonstrate the interdisciplinary approach to the study of prehistoryc sites. 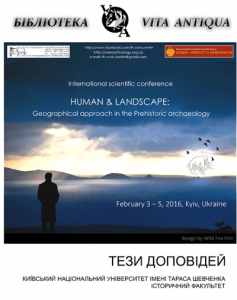 The proposed collection will be useful for anyone interested in prehistory ...continue reading "Conference of “Human and landscape”"
The culture of Kyiv’s Rus occupies one of the most important places in the treasure-house of world culture. The history of its formation reflects the history of Old Rus State and especially the role of international relations of Eastern Slavs with the other regions during the Middle Ages. During 11th- 13th centuries the Old Rus had tremendous influence upon the East, the countries of the Northern and Western Europe and Byzantium. 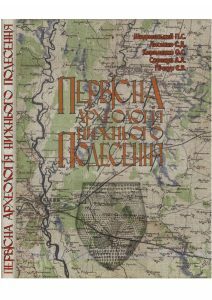 The influence upon these countries differed greatly depending ...continue reading "The Northmen and Slavs in the Desna river area"
On the base of using of the archaeological sources, this book proposes the attempt of the reconstruction of cultural and historical processes, which were going in prehistoric times on the territory of Lower Desna region. This work clearly concerns two main vectors, in the frames of which the investigation held. 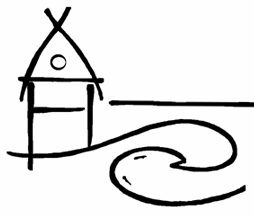 population on the background of environmental changing, with the using the methods of natural sciences. ...continue reading "A book “Prehistoric Archaeology of the Lower Desna Region.”"
TEN CENTURIES OF BYZANTINE TRADE (the 5th – 15th centuries). BIBLIOTHECA VITA ANTIQUA. 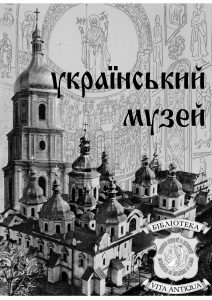 COLLECTION OF SCIENTIFIC PAPERS, KYIV, 2012, 216 p.
The current Collection of scientific papers is dedicated to the anniversary of the distinguished Ukrainian archaeologist, scholar and expert in Byzantine history Olena Olexandrivna Parshyna. 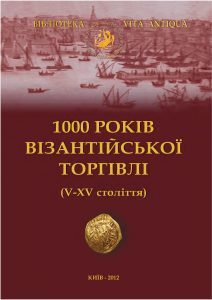 The book consists of the papers presented at the 13th European Archaeological Association congress, in the session "Ten centuries of Byzantine trade", which was organized in the frames of the congress, and research articles covered a number of principal issues ...continue reading "TEN CENTURIES OF BYZANTINE TRADE (the 5th – 15th centuries). BIBLIOTHECA VITA ANTIQUA. 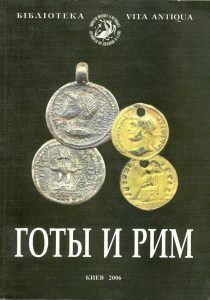 COLLECTION OF SCIENTIFIC PAPERS, KYIV, 2012, 216 p."
The Goths and the Rome. 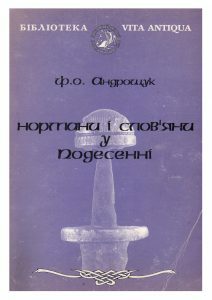 Volume of scientific papers, Kiev, PH “Stylos”, 2006, 256 p.
The collection is dedicated to the memory of Igor Pioro, Ukrainian archeologist, well-known researcher of the ethnic history of the Crimean medieval population ...continue reading "The Goths and the Rome. Volume of scientific papers, Kiev, PH “Stylos”, 2006, 256 p."
The Ukrainian Museum. The collection of scientific articles (2003). Kyiv. (Vita Antiqua Library). – 222 p.
...continue reading "The Ukrainian Museum. The collection of scientific articles (2003). Kyiv. (Vita Antiqua Library). 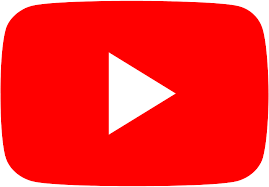 – 222 p."